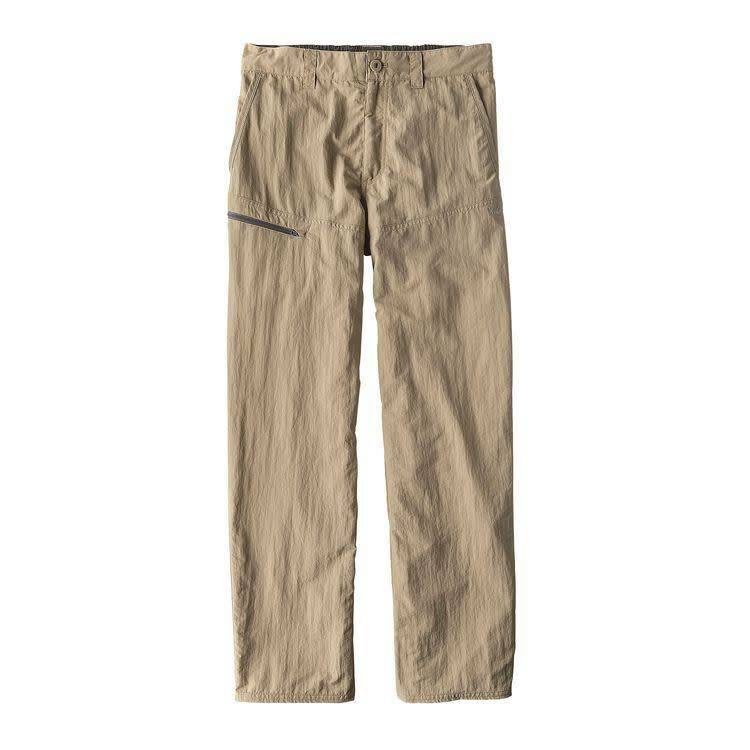 Our Sandy Cay Pants look and fit like work pants, but they’re built from ultralight, fast-drying nylon taslan with 50+ UPF sun protection for warm weather fishing and travel. The quick-drying fabric resists abrasion from rough skiff decks, and the elastic-back waistband keeps them securely in place when leaning over the gunwale to release fish. We've also included plenty of pocketing in the design: two front slash pockets with mesh drainage, one back zippered pocket, and an easy-access zippered security pocket on the right thigh.